Both Chantilly and Sterling Virginia see some cold temperatures a few times a year, so we should be proactive before the temperature drops! Same is true for our vehicles. We need to be proactive before the cold icy days to protect our investment. There are a many important systems that are affected by the cold winter months in this short blog we want to highlight batteries. Your battery works hard in the winter months to start your car. It needs to be able to produce maximum amperage to start your car in the winter because a cold engine is hard to crank over. It’s true that the summer heat is more damaging to the batteries internals by increasing the vaporization of electrolyte in your battery and speeding up the corrosion process of battery plates. But usually we do not see a bad battery until that additional cranking amperage is needed when starting a cold engine, and that extra demand on an already weakened battery shows up as a failure to start. How do I know if I need a battery? Being proactive is the only way to avoid being in a situation where your may be surprised with a car that will not start. When your car is in for maintenance at its regular intervals you should ask your service professional to check the battery, the positive and negative cables, the starter, and the alternator. This is not an overly complicated test and many shops do it as part of regular service everytime it is in. At Casey’s Automotive it’s part of our free 42 point vehicle courtesy inspection. Most batteries have a specified life expectancy between 3-6 years and the install date if properly recorded is shown on the top of the battery. What can I do to maintain the battery? There is not much you can do to maintain your battery these days because the battery case is a sealed unit on most new designs. You can however be cognisant of the condition and maintain the battery cables . You can check for signs of corrosion on your battery, the hold down bracket, and the cables. It will be white and or blue build up where the battery cables connect to the positive and negative terminals. This corrosion takes place when hydrogen gas is released from the acid in the battery. Cleaning the corrosion from the battery will protect the cables and extend life of your systems. If your car frequently sits for weeks on end the battery may become drained from onboard computers. At Casey’s we recommend starting and driving your car at least once a week to get the battery charged even if just a short distance. 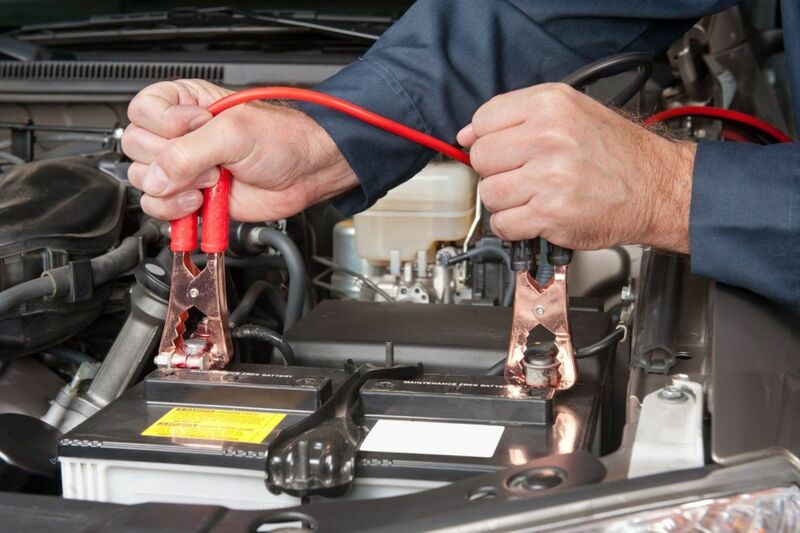 At Casey’s Automotive we see batteries generally last from 3-7 years. That is quite the range and there are many factors that can affect your vehicles battery life. Although you cannot exactly predict when your battery will fail, having it tested regularly will give you the ability to see when it’s becoming weak. If your battery seems to hesitate to start your car, have it checked and if it falls in the 5-7 year range it’s best to replace it before it leaves you stuck in the cold. All batteries have a series of numbers and sometimes letters to identify what they will fit. This refers to the battery group size. This identifying number shows the battery that will best fit the physical dimensions, terminal locations and type required for your vehicle. Group size is typically based on your vehicle’s make, model and engine type. Although some vehicles may accommodate a battery from more than one group size, it is important that you use a battery approved for use in your vehicle. Consult your vehicles manual, a trusted repair shop, or replacement guide to find the battery group size that works for your specific vehicle. At Casey’s we recommend using the exact fit battery. How much should my car battery cost? The range in battery price is huge. You may find automotive car batteries from $60 all the way to $300. The cost has many variants. Size, type of battery, quality, and if you have it professionally installed there could be a labor charge to replace it. Labor charge?! Some batteries, for the life of me I do not know why, are not located in an easily accessible place. Cadillac likes to put them under the rear seat, BMW sometimes hides them in the trunk under panels, Chrysler hides them in the behind the front fender well making removal of wheels and the fender necessary. It’s sometime a game of hide and seek. If you buy a battery online you can save sometimes hundreds by putting it in yourself but be careful to follow your cars instructions, and many new cars require that the battery be initialized to the specific car! Where can I buy a car battery? Your options to buy a car battery are almost endless. From your large chain “buy in bulk” Costco, to the small independent shop like ours Casey’s Automotive. More importantly before you buy a battery decide what you want to purchase? Maybe an inexpensive battery in the DIY department because you won’t keep the car much longer, or a top of the line and professionally installed battery because your car is your baby and you plan for a long relationship with it. What bells and whistles will come with your battery? Roadside assistance? National warranty? Free replacement? Again, the perks of the particular battery you choose and who you have install it have great range and affect price greatly. Here is a list of Battery Suppliers that we trust at Casey’s Automotive for both Chantilly Virginia and the Sterling Virginia area. 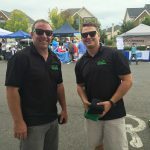 We not only buy batteries to install from these companies but they have a great staff that can help you pick the battery you need for your car! Thanks for reading our Automotive Battery Blog! 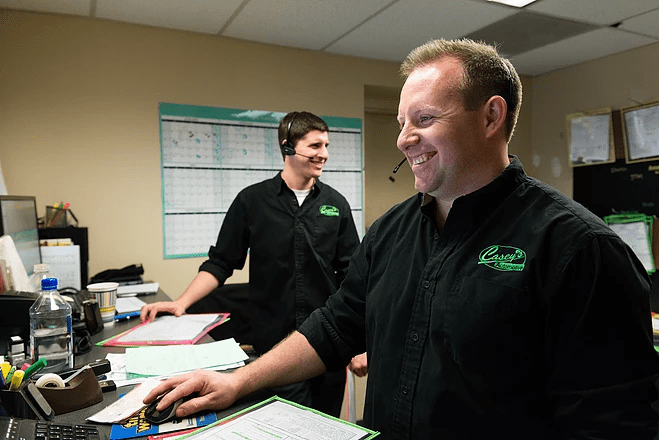 If you have any questions on your vehicles battery health, or the condition of the charging system and starter, you can always give us a call or shoot us an email! Stay tuned for more informative blogs!! Fall 17 Update: What Have We Been Up To At Casey’s?